Do you find it hard to put yourself first? Are you even aware that you probably don’t put yourself first? This is a common problem for a lot people. During the day, we are at the mercy of others. At work, we have to listen to what our bosses and co-workers tell us to do. At home, we have to take care of our pets, children and SO’s. As an adult, there is a constant obligation you feel. To cater to everything else, and put your needs last. I applaud you because that makes you a stand up person. Putting others before yourself is a huge act of kindness. It’s hard to say it’s a bad thing, because other people benefit greatly from what you do. But, putting other people before yourself brings up a lot of issues. You’ve heard the saying you can’t pour from an empty cup, right? It’s true. If your cup is empty or your batteries are dead, it becomes impossible to cater to others. But, you might have been taught that putting your needs first is selfish. It’s what we’re taught growing up because acting selfless is viewed as good in our society. And it is, don’t get me wrong. But, there’s a line that has to be drawn. If not, giving all you have away will end with you feel miserable. Not to mention overwhelmed, stressed, and resentful of others. If you don’t take time for yourself, you can’t be there for someone else in the way you want. You’ll also have less patience and tolerance for people who need your help. Letting your cup run dry will cause issues in your life. As you’re trying to please everyone else and take care of other people, eventually it will backfire. You can only take on so much at a time before becoming so burnt-out that you stop caring about all of it. It will effect your health because of chronic stress it causes. And it has the potential to ruin relationships. You might think putting yourself first is selfish and will cause these issues anyways. In reality, you’ll be a much better person to be around. Once your cup is full, you’ll be more than willing to give more to other people. Everything is ok in moderation. To set your limitis, you’ll have to figure out what your limits are. This might take some practice. It’s ok if you don’t get it exactly right all the time. But, setting your limits is so important. If your boss keeps asking you to work overtime or your sister is crashing on your couch every night, you’ll need to set up some limits. You can start doing this by taking a few minutes out of the day and reflecting on the balance in your life. Do you have enough of your own downtime every day? What brings you happiness? Think about the things that start to get uncomfortable if they continue to happen. This is a great way to start putting yourself first. Saying no and setting boundaries is NOT a bad thing. It’s 100% necessary. You’ll have to believe it’s necessary for your own health before you can start practicing it. Get rid of those thoughts that saying no means you’re a bad person. If you don’t set limits, people will not know when to stop. It’s not their fault, it’s just that most people don’t know when they cross a boundary. Boundaries are different for everybody, so it’s important to determine what your own are and make them clear to the people you care about. In order to stay at your job and do good work, you need a good work-life balance. Let your boss know this, that way they can understand what you need to succeed and to stay at the job. For some people, setting boundaries is too difficult so they end up quitting or getting out of relationships to avoid it. This is not the best option, because you’ll always come across a situation where someone tests your limits. Instead of avoiding it, work on fixing it. And if you find that you try settting boundaries with certain people and they still continue to cross them, then that’s when you can decide to remove that from your life. People who don’t respect boundaries are difficult, and you’ll need to determine if they are worth having around or not. If you haven’t put yourself first in a while, you might have forgotten how to listen to your own wants and needs. Knowing what you want is essential, because you’ll also know what you don’t. This is how you build up self-confidence, by listening to yourself. If your friends all want to go out to a club on Friday night, but you really just want to stay in and watch a movie, listen to that! Instead of going just to avoid upsetting anyone, listen to what you truly want. This is also part of setting limits. But, before you can set limits you have to know what you truly want. You’ll have to get rid of everyone else’s thoughts and opinions about your life, and practice listening to what it is you want. At the end of the day, it’s about what brings you happiness. It’s not really about what anyone else wants, because the people who care about your happiness will be more than willing to give you what you need. Our own voices can disappear once we start putting everyone else first before ourselves. This is the time to start practicing listening to your heart and going after that. You deserve it! If you struggle to put yourself first, you most likely have your life way more together than others around you. People who need you to take care of them don’t have the right tools to do it themselves. You might feel like you can give more, because you can handle more. And that means giving some people way more than they deserve. Everyone needs to hold themselves accountable for their own lives. You can’t be responsible for everyone. With the exception of animals and babies, other adults can take care of themselves. And if they can’t, they shouldn’t be relying on you to fix their struggles. You can do your best to be there for them when they need it, but you’ll also need to take time to yourself. Put up that boundary so they know they can’t run you completely dry. This isn’t a selfish act. It’s actually really healthy for the both of you. It teaches other people that if they draw the line, you can’t there for them anymore. And that’s on them, not on you. And you won’t get to the point of resenting them or blowing up on them for taking so much. Do what it is you need to do. Do you enjoy reading? Taking hot baths? Talking to your closest friends? Drinking wine and binge-watching Netflix? Do these things and do them often. Practice taking care of yourself every single day. Even if it’s just 15 minutes before you go to bed. Self-care keeps you in tune with yourself. This helps you set your limits, listen to yourself more, and know when things are off balance in your life. Guilt makes us feel awful and brings us to do things we wouldn’t otherwise do. We feel guilt out of fear of people disliking us, feeling like we’re doing something wrong, or feeling like we’re being too selfish. Guilt is what will keep your cup from filling up, if you allow it to control your life. Instead let go of it! I know how tough guilt can be. Even when you decide to make a decision for yourself, you might be flooded with guilt and decide to go back on your decision. This is when you just have to lean into it. Deal with feeling uncomfortable and stand by your decision to put yourself first. Guilt is a test, and you have to push through it. Once you become more comfortable with doing things for yourself, instead of always doing things for others, the guilt will go away. I promise! The only reason you feel guilty in the first place is either because someone is trying to take advantage of you and make you feel bad, or you’ve been taught from a young age to not put yourself first. You have to counteract those feelings of guilt and understand how much good will come out of putting yourself first. You can maybe even make a pros and cons list of what will happen if you decide to do something you really don’t want, just to please someone else. And see the pros of listening to yourself and doing what you want. Putting yourself first might take some practice if you’re not familiar with it. If you are having trouble building your confidence and putting yourself first, a Course In Gorgeous is the course for you. 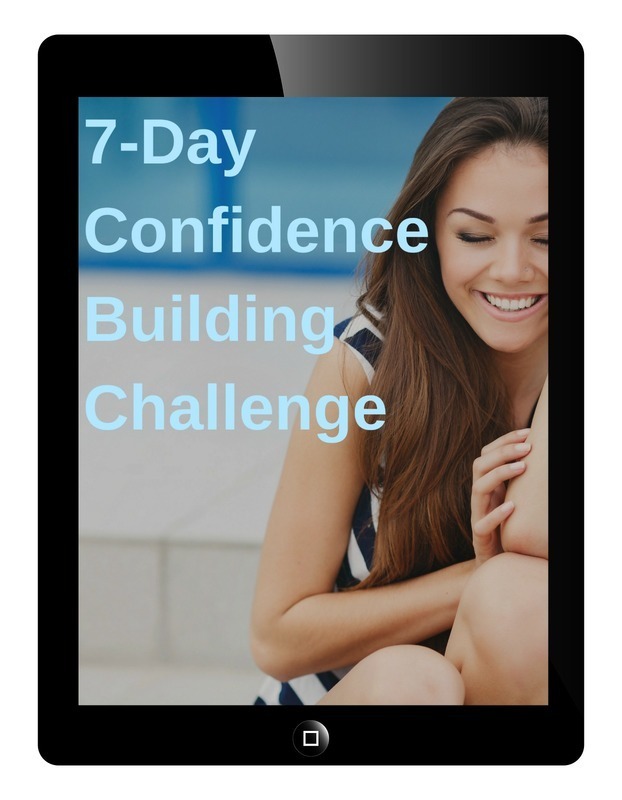 This course will not only help you feel confident and gorgeous in your own skin, but it teaches you how to put yourself first and get rid of negative thinking once and for all.